1 Bedroom Ground Floor For Sale in Glasgow for Offers Over £145,000. 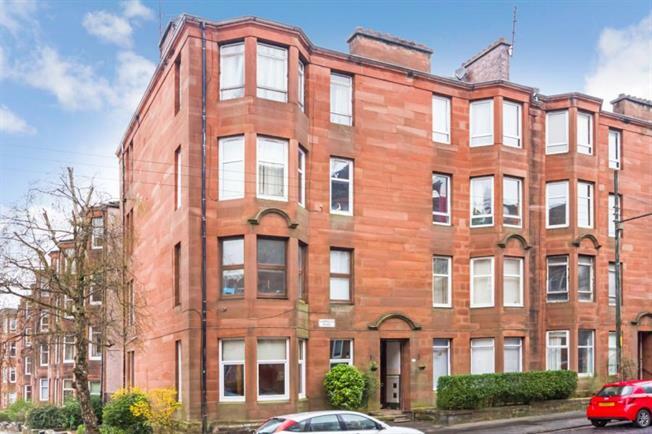 A stylish traditional ground floor flat within red sandstone building. The subjects have been well maintained by the present owners to offer accommodation comprising secured entry, communal entrance hall, reception hallway, bay windowed lounge. There is a modern dining/kitchen, double bedroom and a fabulous contemporary bathroom suite with shower. In addition the property has gas central heating and particular note should be drawn to the beautiful communal landscaped garden grounds with feature patio and bar-be-cuing area. Viewing is essential to fully appreciate the property. The property is ideally located for access to all West end amenities including shops, bars, restaurants and public transport services via bus and underground. There are good road links to the City Centre and M8 Motorway Network.